This Wednesday March 21, we would like to cordially invite you to a festive, musical picket line outside of the CJ Building, on the Loyola campus. We will be gathering outdoors at 12pm sharp and stay until 4:30ish. To open dialogue about the importance of not attending classes during the strike. In particular, to extend strike awareness and energy to the Loyola campus. To create large, beautiful signs that will represent Concordia’s presence at the demonstration on March 22. Please bring sidewalk chalk, poster boards, markers, glitter, fabric, colourful items of all sorts, and whatever other materials you think will contribute to making great posters/signs/puppets for the large demonstration on Thursday March 22. Additionally, please bring along any musical instruments (or fun sound makers, such as a metal bowl and a spoon!) to add to the festivities! Photo by Pamela Lamb, taken during the family demonstration on Sunday, March 18, 2012. After careful deliberation, students in the MA Media Studies program at Concordia University have collectively decided to continue our strike on an ongoing basis, to be reviewed weekly. In accordance with the GSA’s resolution, we will not be attending class nor submitting coursework in recognition that they are inseparable. We agree with PhD students in the department that to submit coursework while not attending class implies that class time is irrelevant. We also declare our support for doctoral, undergraduate, and diploma students in Communication Studies in their own strike actions. Our position reflects the majority of students in our program, but we also acknowledge the individual circumstances that may limit the extent to which some of us can participate in the strike. 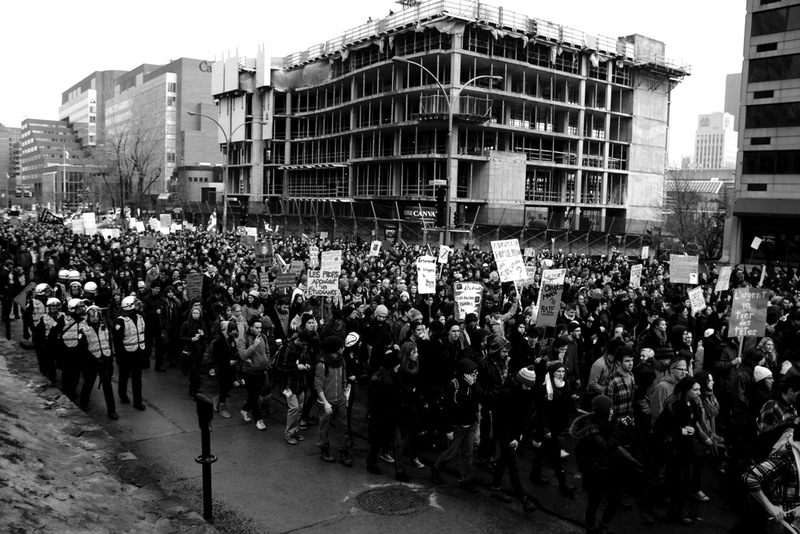 March 13 demonstration against Québec tuition increases as protesters walk westward along Boul. René-Lévesque in Montréal. 2012 © Eduardo Fuenmayor. We see this action as a strike and not a boycott – in ceasing our coursework, we seek to make visible the detrimental impact of tuition hikes on our futures but also to make visible the very real labour of our research and course participation, which enriches the programs and atmosphere of our department, individual professor’s research, and the university at large. We understand that a student strike differs from a labour strike, and we use such language knowingly. Although we may not be bound by a labour contract, we are part of a student association and feel that the strike is a necessary collective action. In calling our action a strike, we seek to align ourselves with student movements and protests province-wide against privatization and for academic freedom and accessible education. We do not consider ourselves consumers passively receiving a service (as the term “boycott” implies); we believe that education is a right. 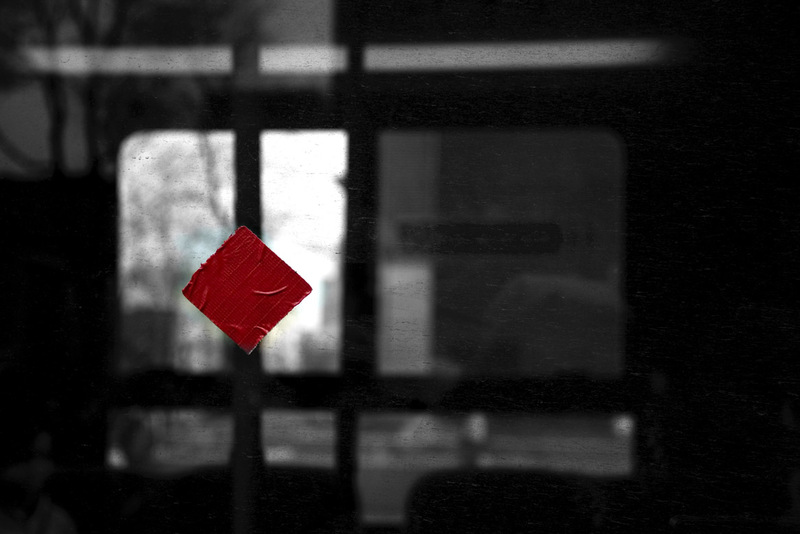 Since the 2005 Québec student strike against the proposed removal of $103 million from student loans and bursaries, the red square symbolizes student debt that leaves students "squarely in the red". Photo taken during student demonstration on March 13, 2012 © Eduardo Fuenmayor. 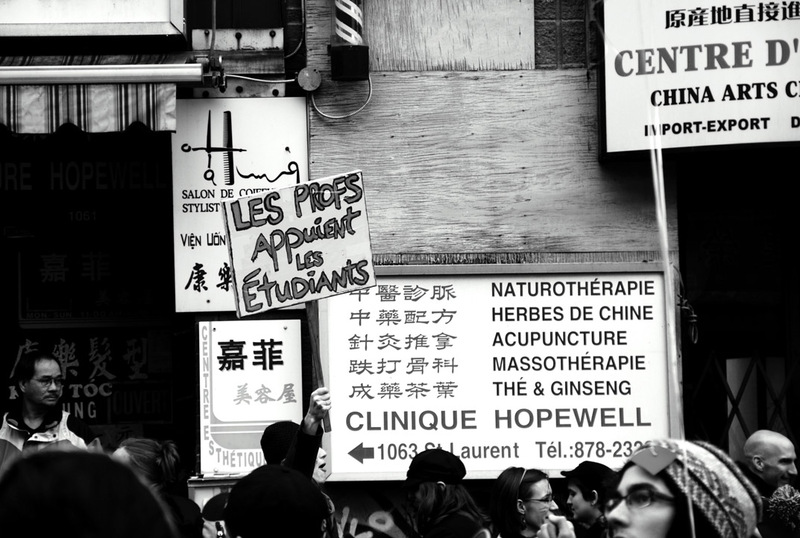 "Professors support the students" reads a protest sign as a demonstration walks northward along Boul. St-Laurent in Montréal's Chinatown. Photo taken on March 13, 2012 © Eduardo Fuenmayor. 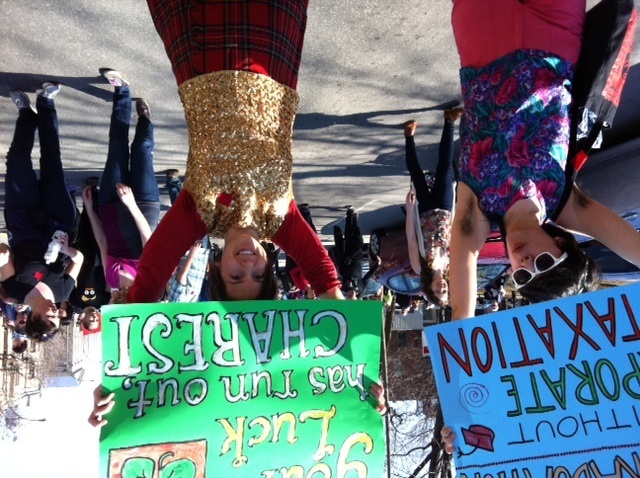 We appeal to you for solidarity in our struggle against the Charest government’s position. We appreciate the support faculty have provided thus far, and we encourage you to continue supporting us in our call for accessible education.